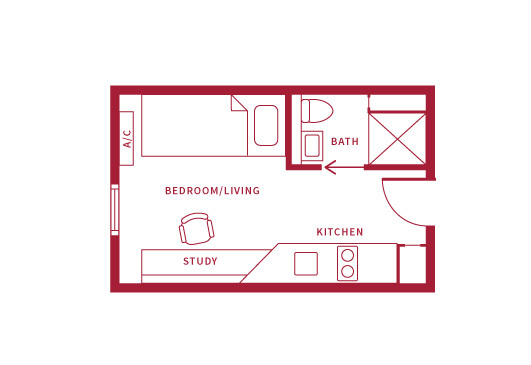 Graduate House is the perfect place to stay. 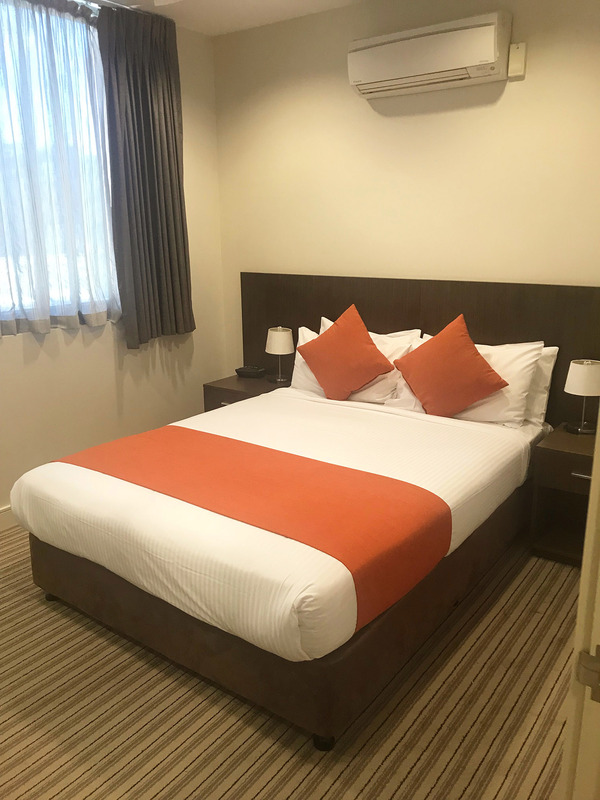 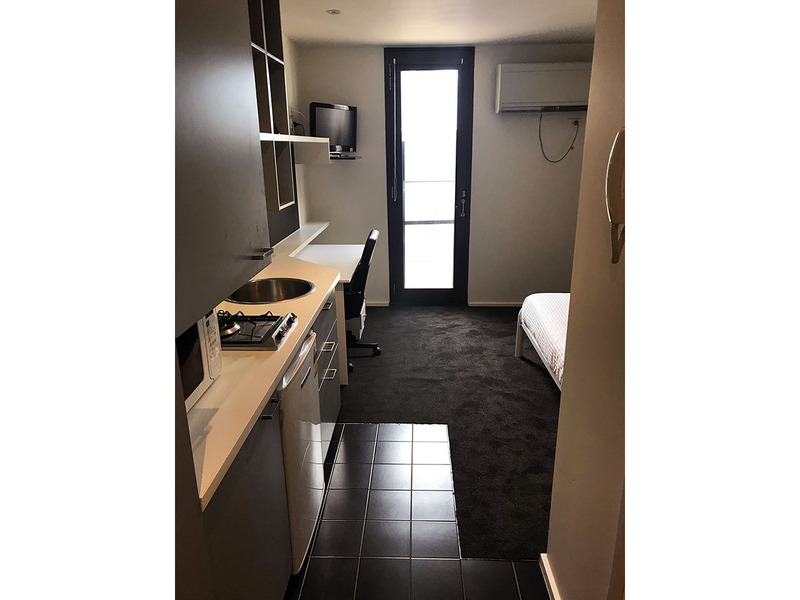 It is located in the heart of Melbourne University’s graduate precinct, and five minutes away from Melbourne’s Central Business District (CBD). 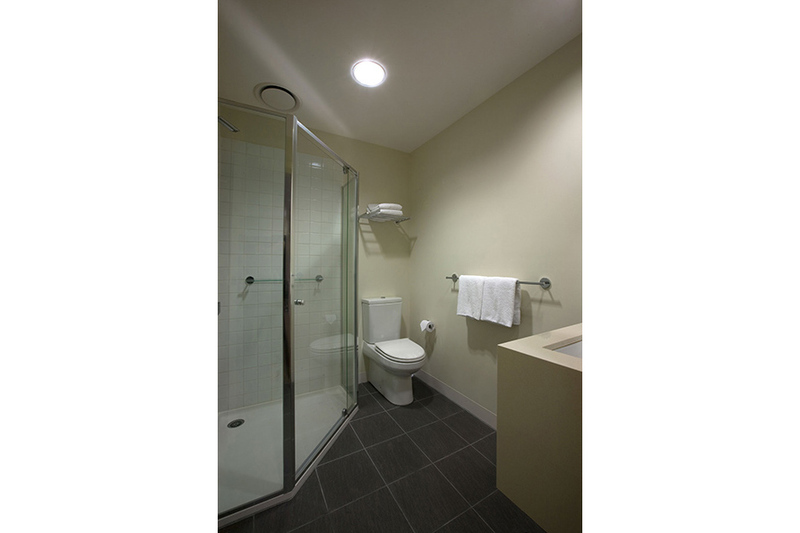 all utilities (gas, electricity, water and waste management). 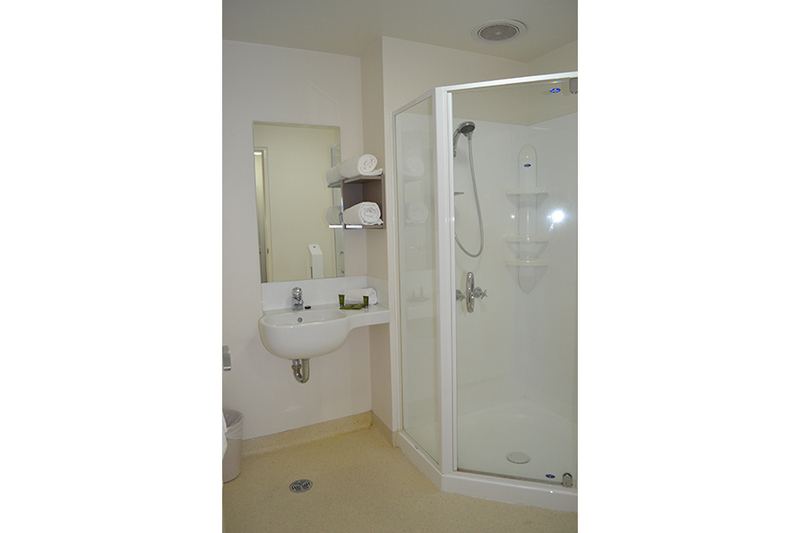 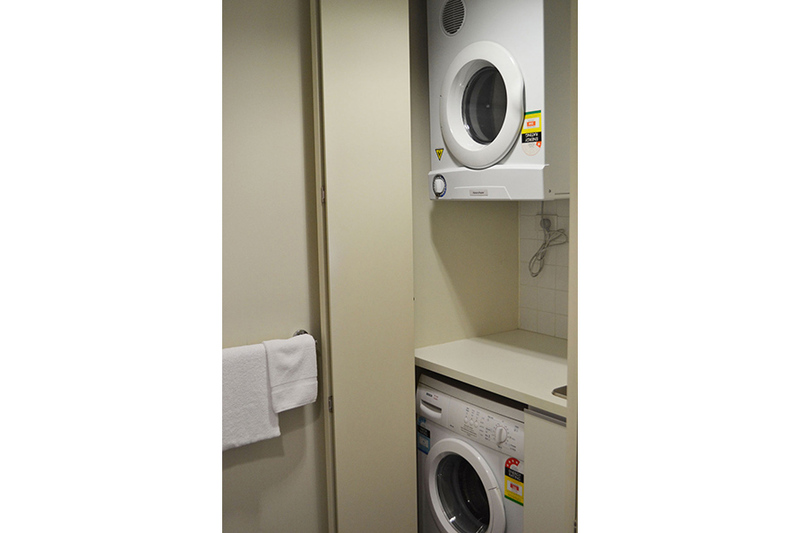 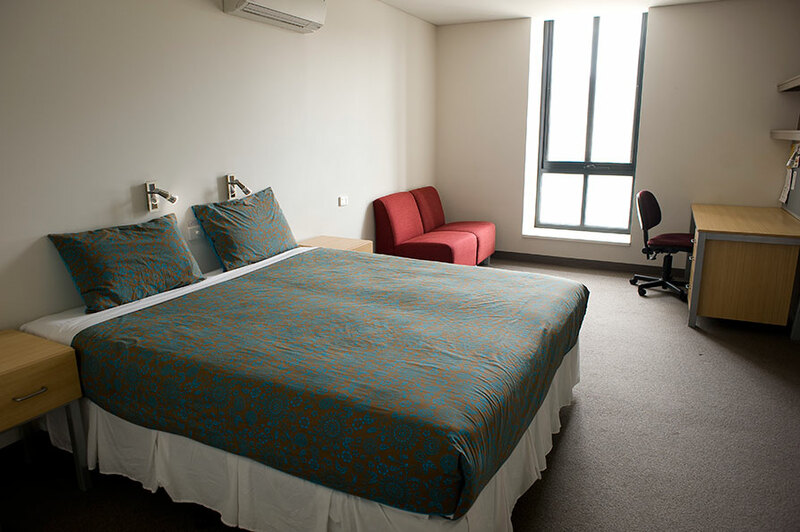 There are various types of Resident rooms. 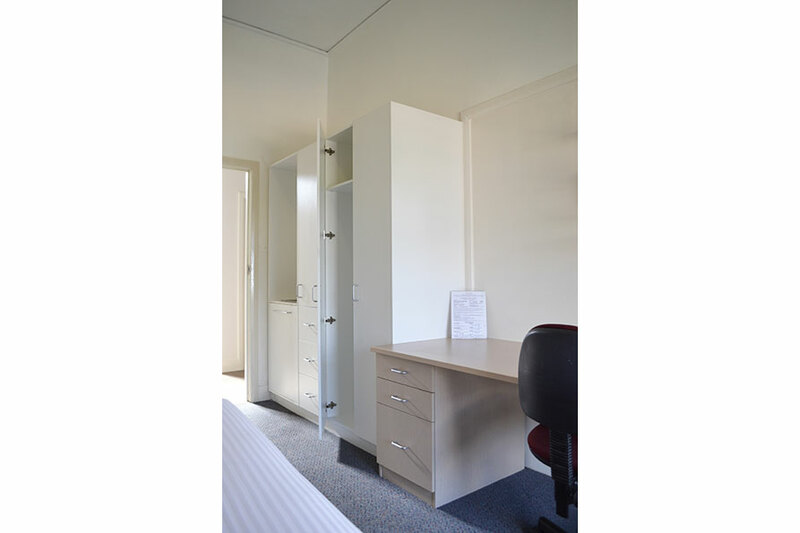 Each type is located in a separate wing of Graduate House. 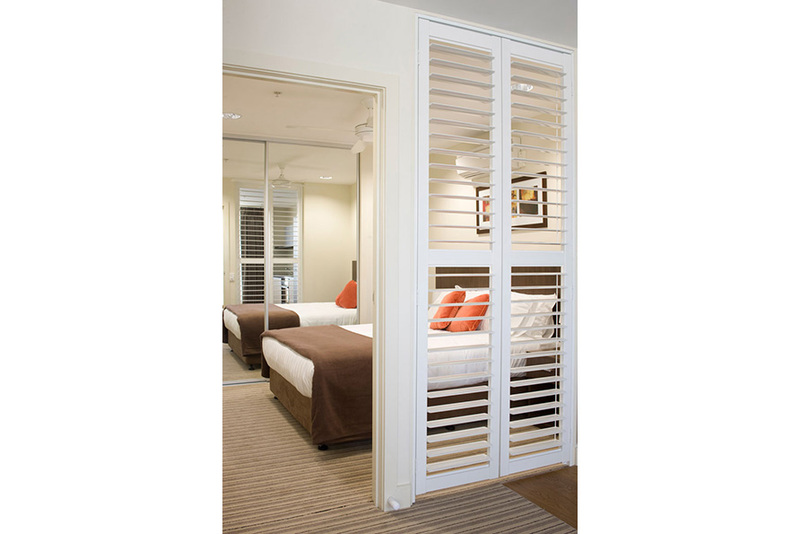 Steeped in tradition, charm and character, these terraces were built more than 130 years ago. 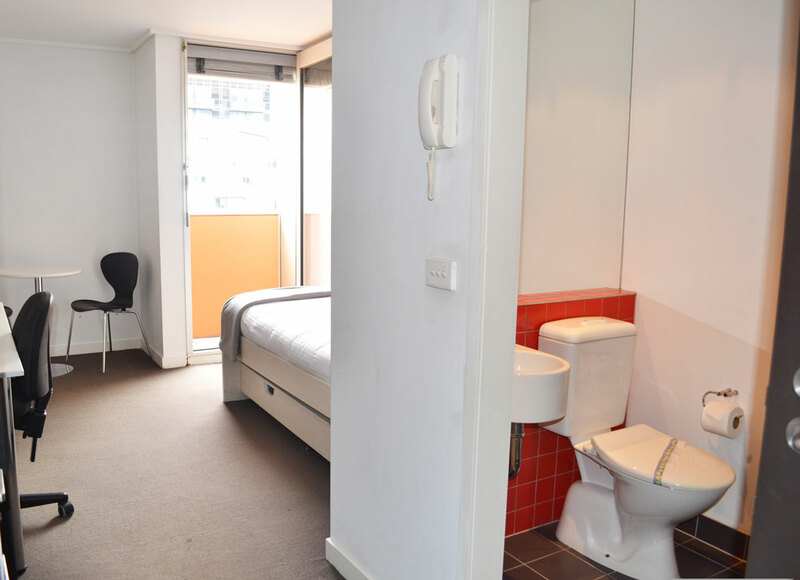 Bathrooms are along the corridor and some rooms open to balconies overlooking University Square. 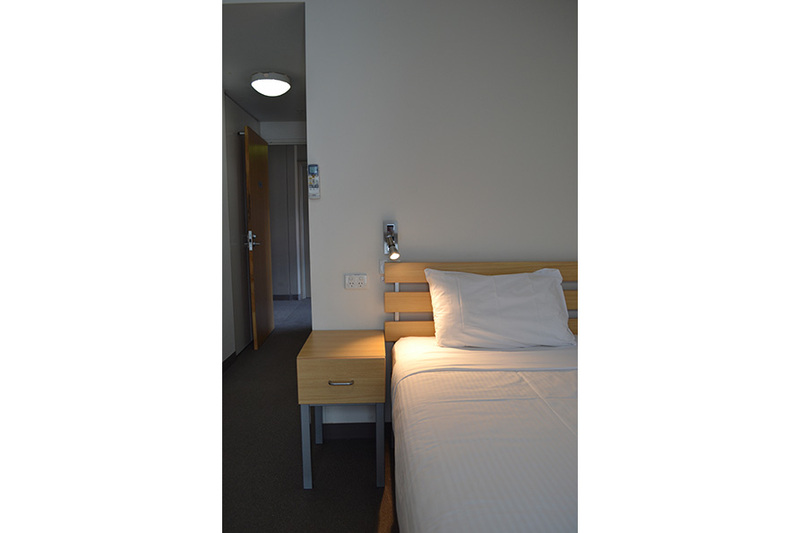 All Central Wing rooms are fitted with either a single or double bed and have private bathroom facilities. 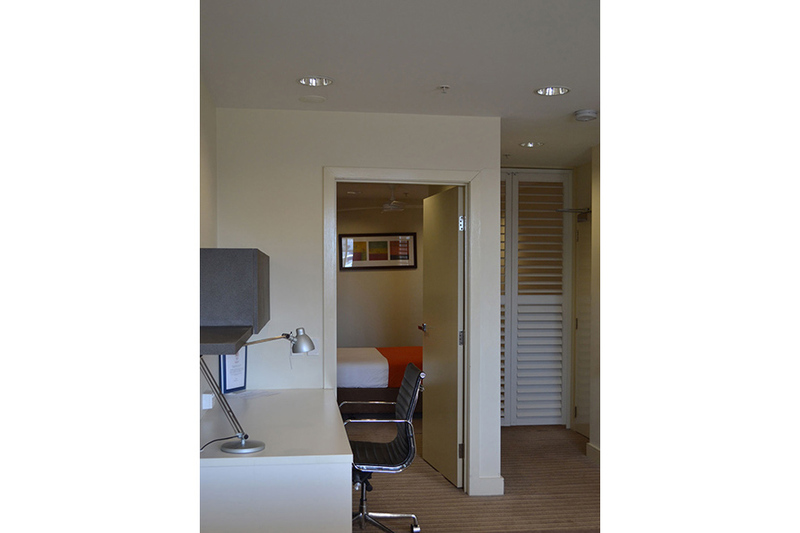 Opened in 2005, these rooms are for those preferring a more modern ambiance. 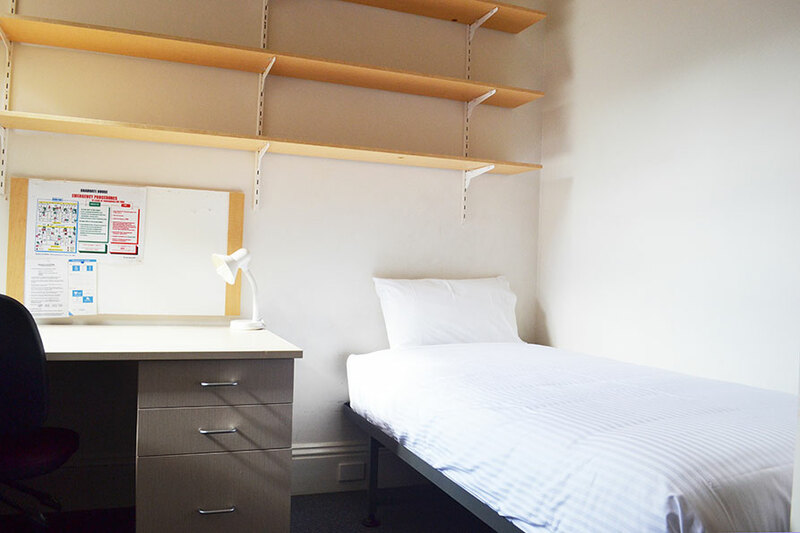 The Stella Langford Wing, located at the south end of Graduate House, has 10 self-contained apartments, each with a double bed and bathroom, kitchen and laundry facilities. 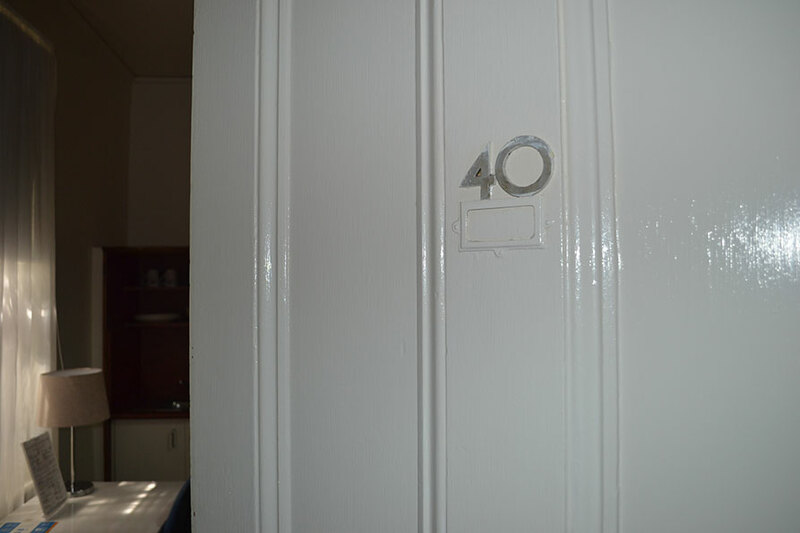 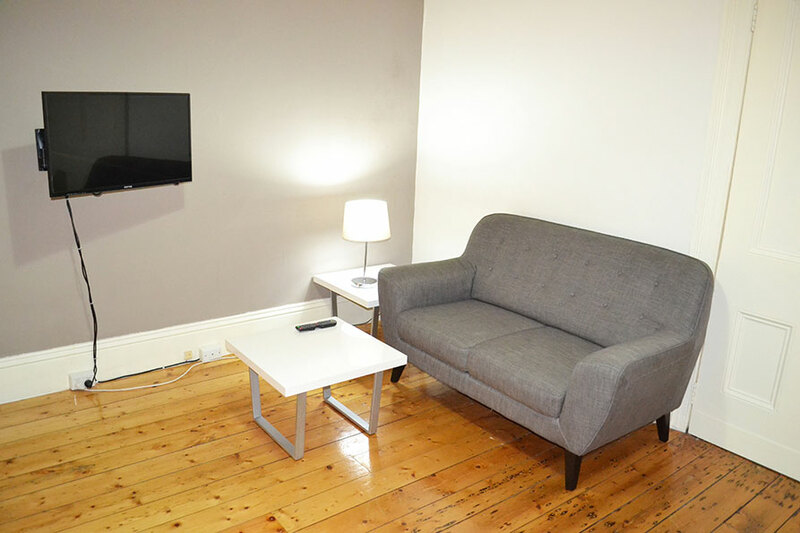 The Barry Street Single Studio Apartments are located at 50 Barry Street, just a 5-minute walk from Graduate House. 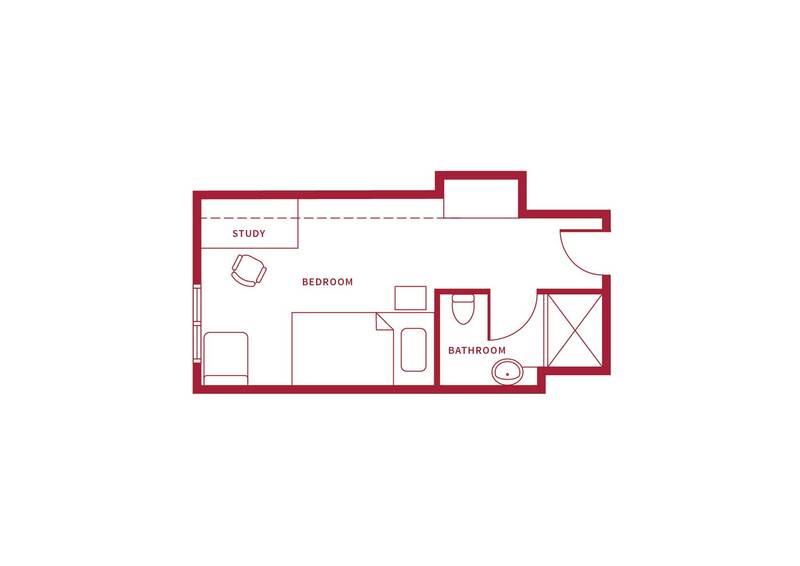 There are 13 self-contained apartments, each with a single bed, bathroom, and kitchen. 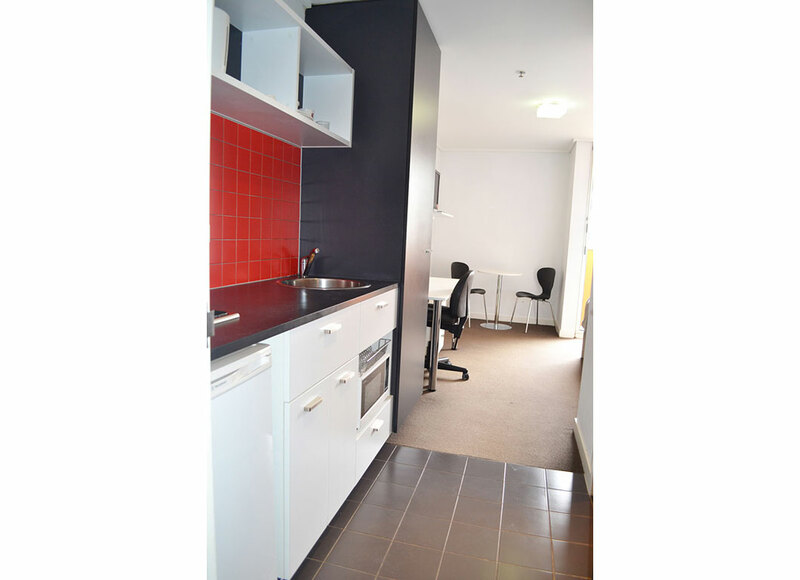 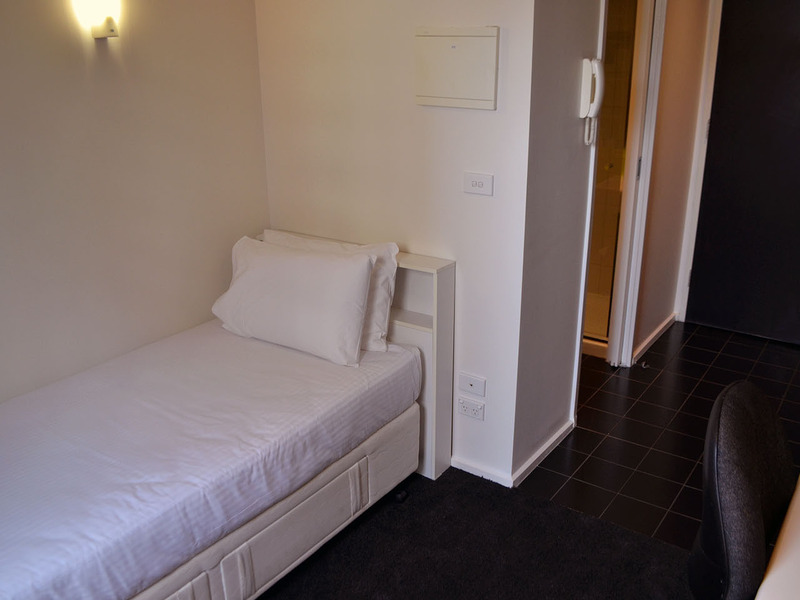 The Barkly Place Single Studio Apartments are located at 24 Barkly Place, just a 5-minute walk from Graduate House. 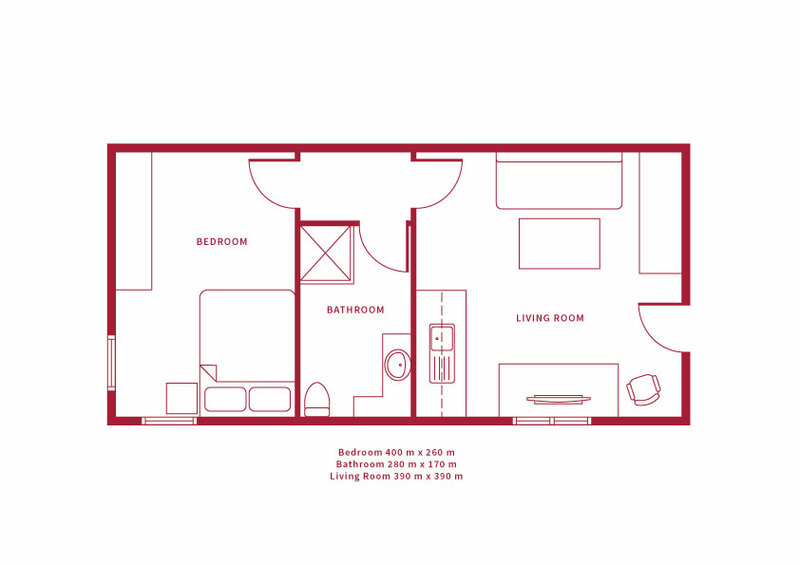 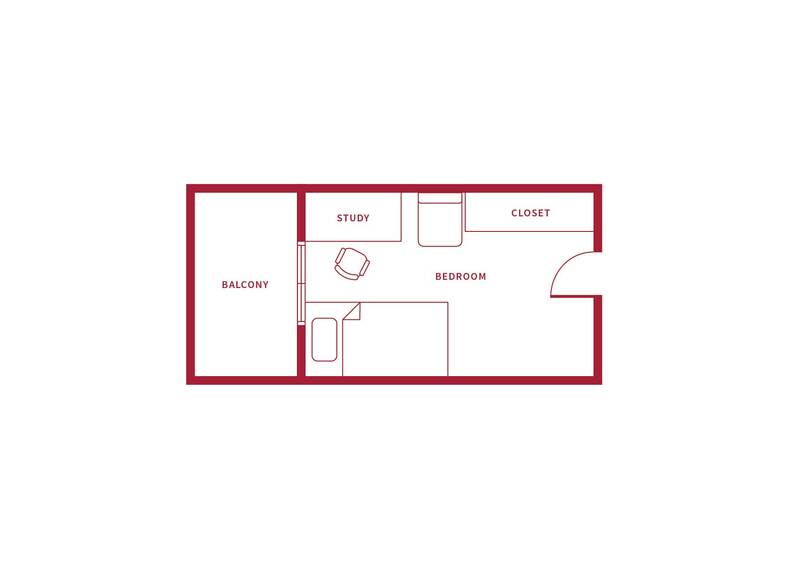 There are 18 self-contained apartments, each with a single bed, bathroom, and kitchen. 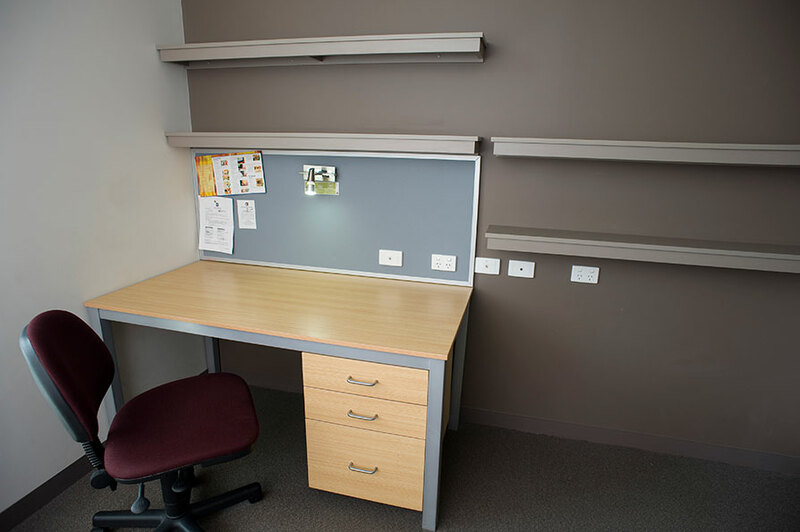 Become a Member of The Graduate Union today! 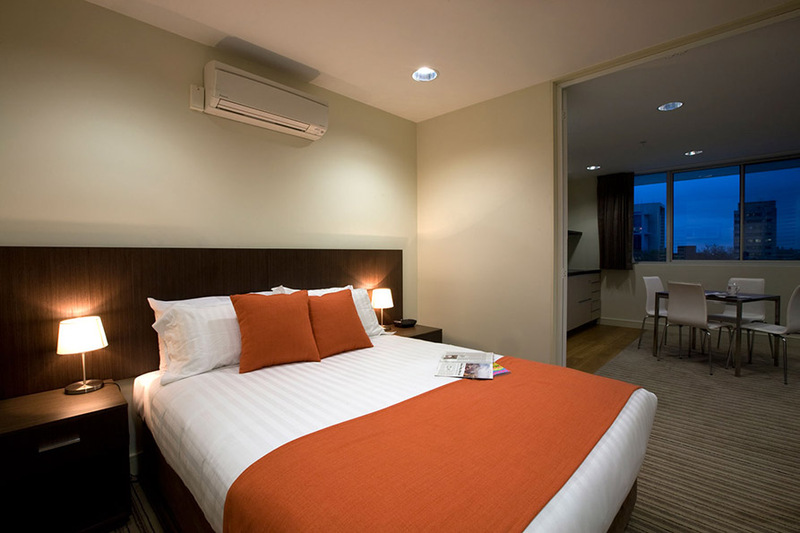 The Residency Fees are per week (unless otherwise indicated) and are inclusive of goods and services tax (GST; an Australian tax). 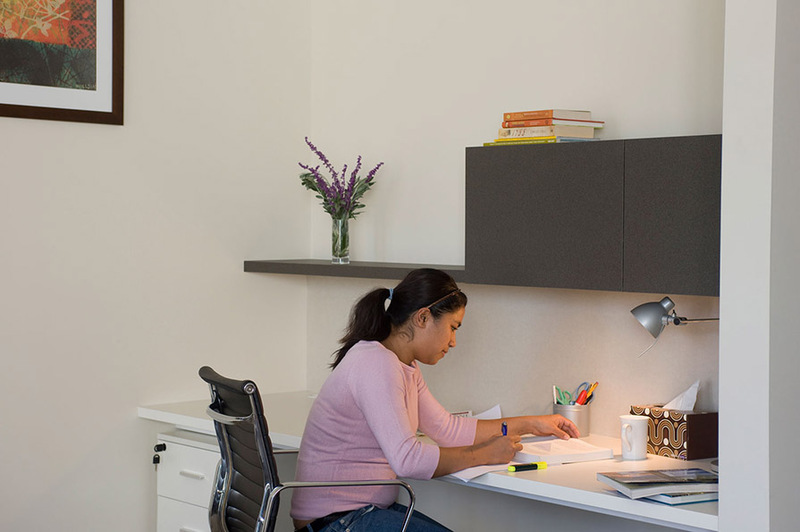 Fees are subject to change without notice and are reviewed at least annually. 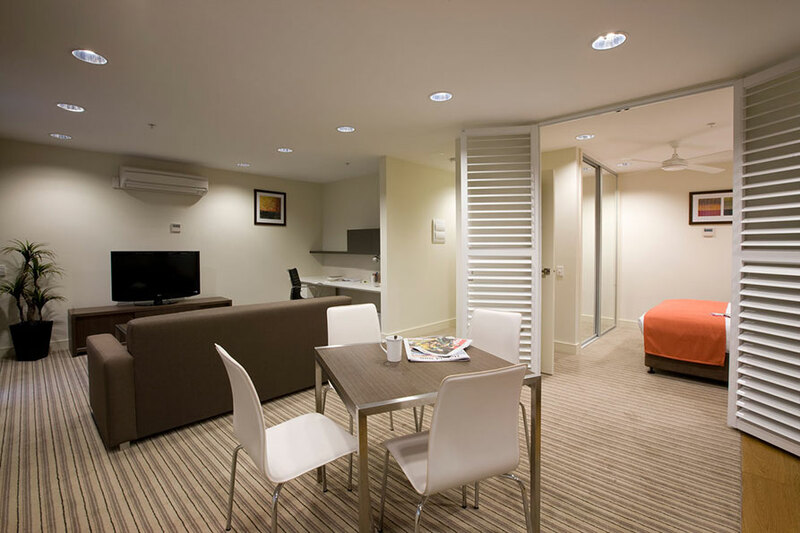 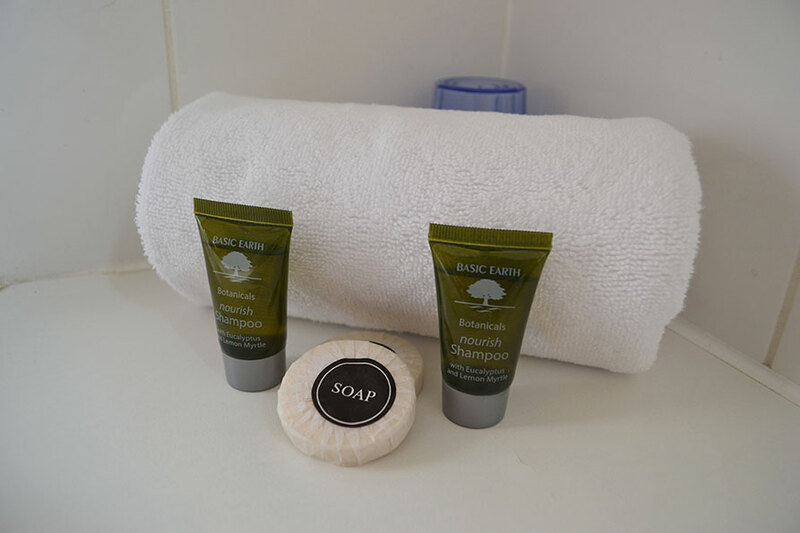 Details regarding meals and other amenities are available in our Residential Terms and Conditions. 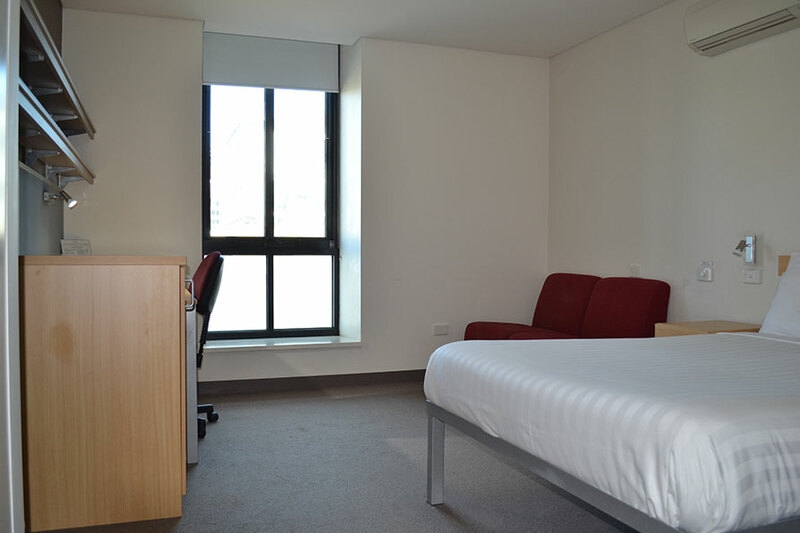 Located in the Stella Langford Wing, this luxurious room caters for up to four people. 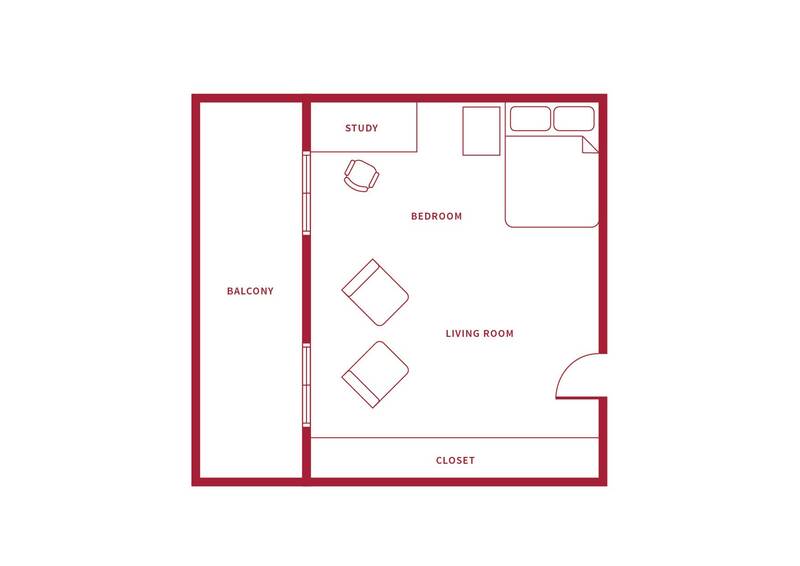 The largest and best room here at Graduate House, this apartment comes fully furnished with your own private kitchen, laundry and bathroom. 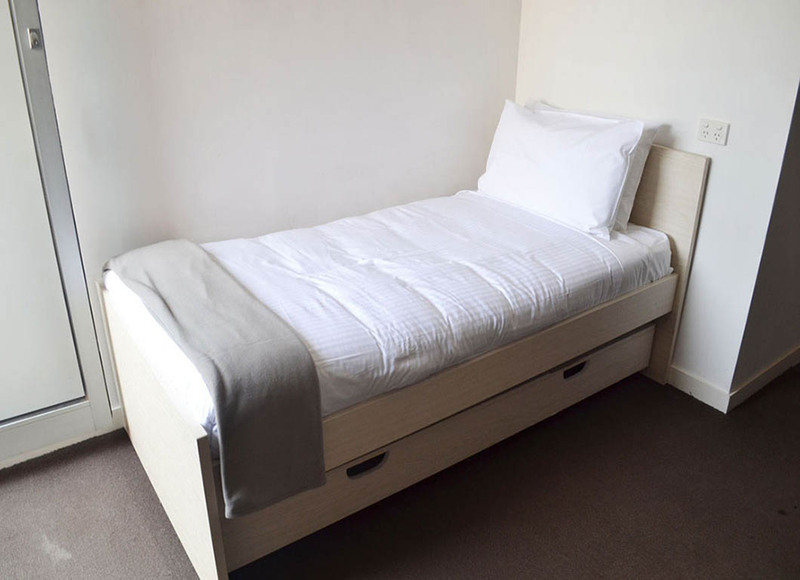 Child friendly, a portable cot is available on request. 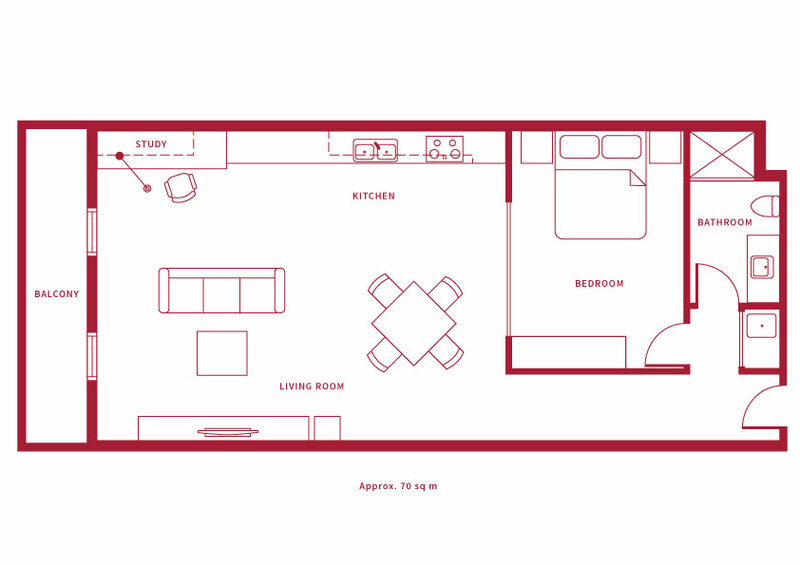 Layouts of apartments vary. 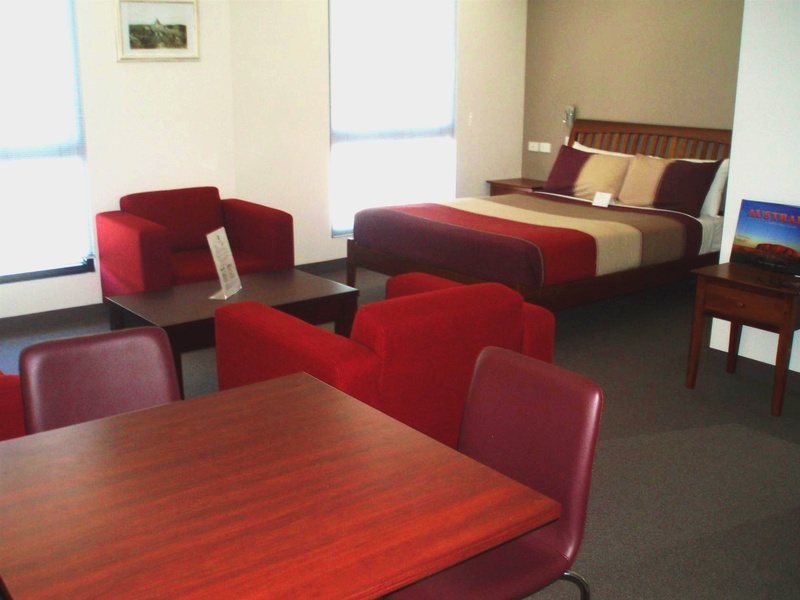 Phone +61 3 9347 3428 or email admingh@graduatehouse.com.au for accommodation enquiries. 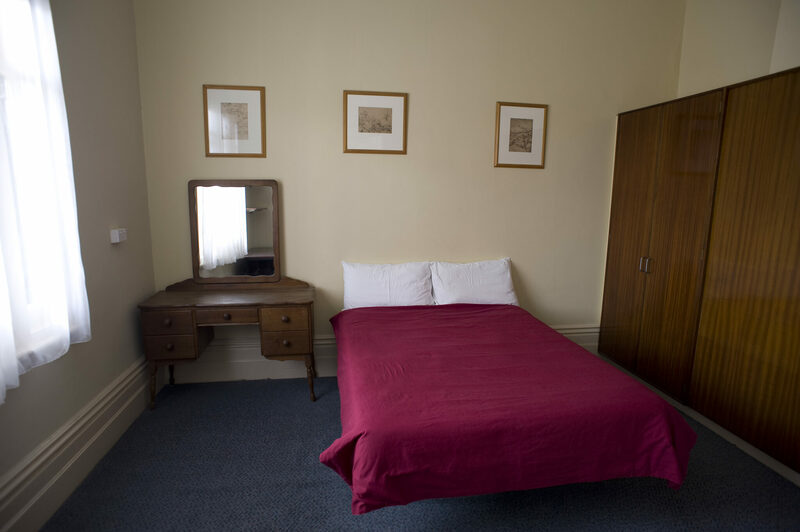 Located in the Stella Langford Wing, this luxurious room caters for up to four people. 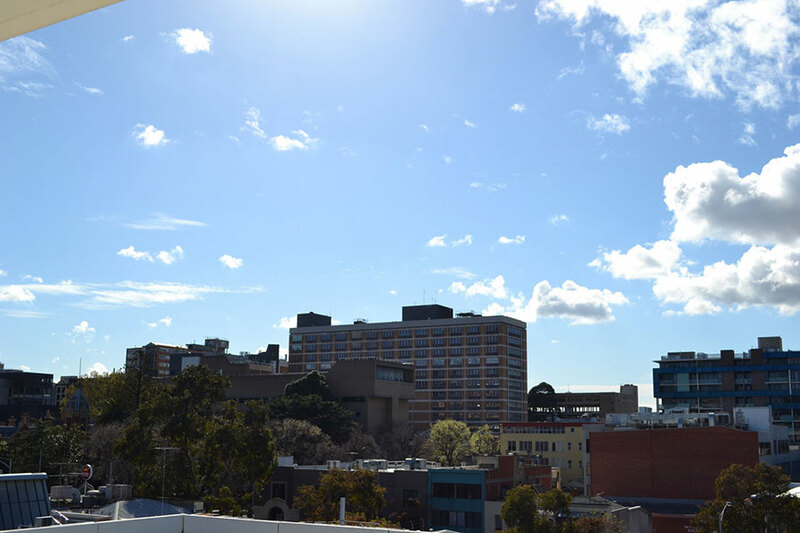 Enjoy the splendid view of Melbourne University and Melbourne’s CBD from the top floors of our college. 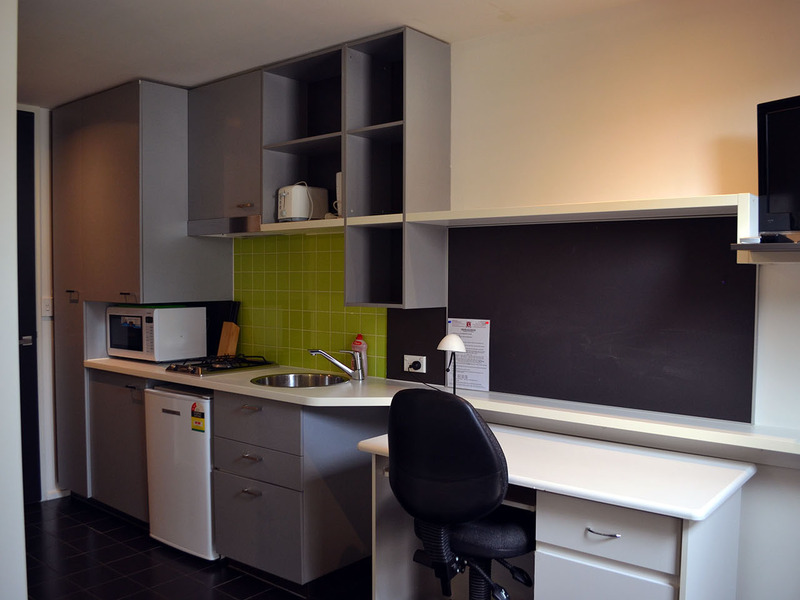 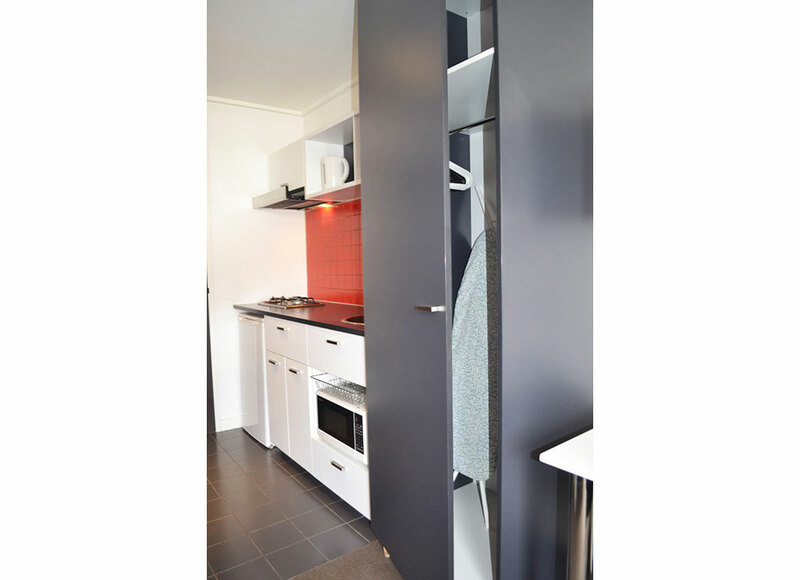 The apartment comes fully furbished with your own private kitchen, laundry and bathroom. 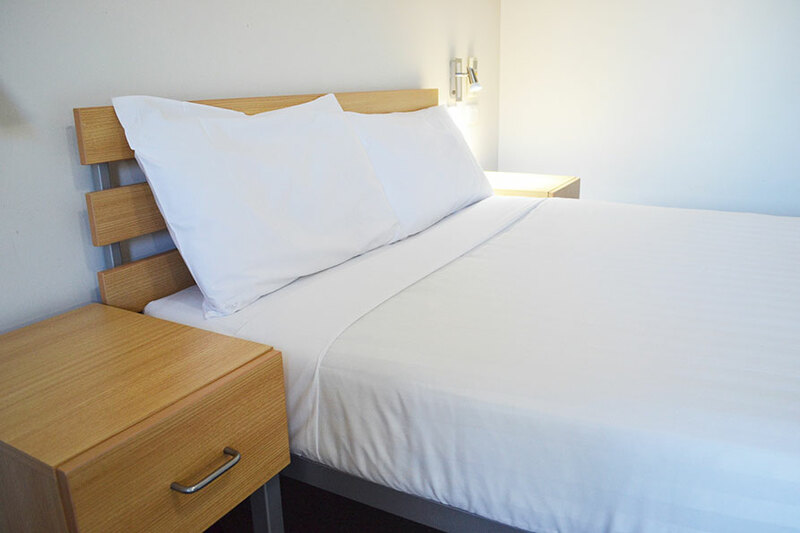 Child friendly, a portable cot is available on request. 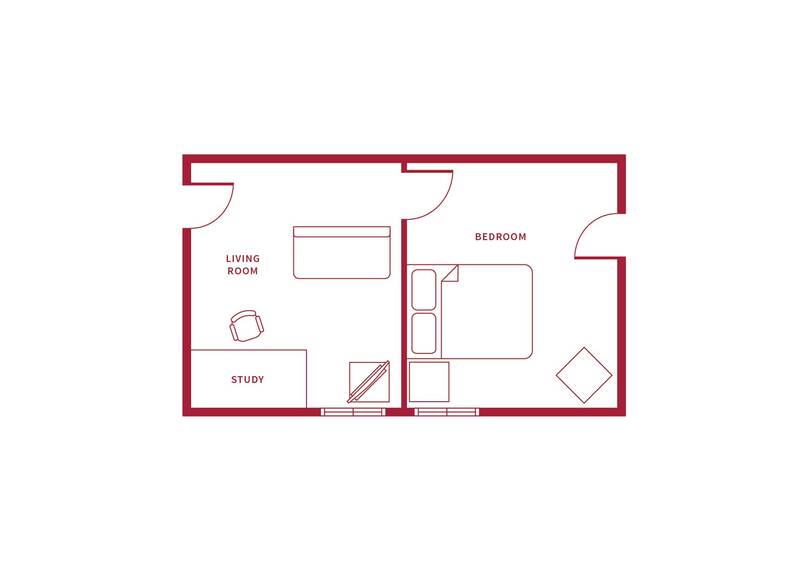 Layouts of apartments vary. 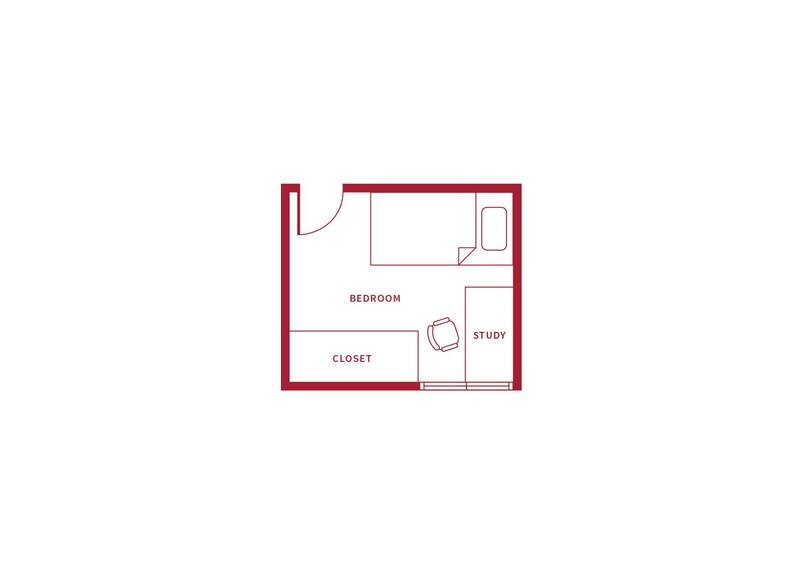 This spacious open plan double bedroom has space to move around and relax. 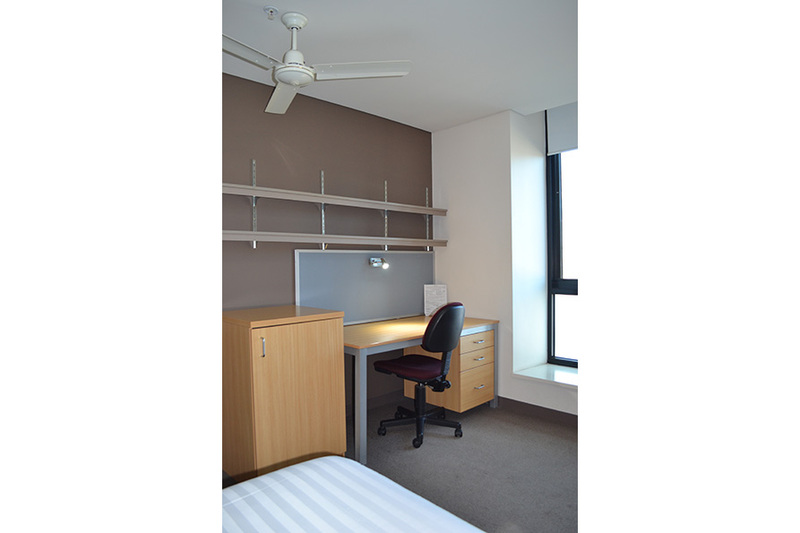 Located at the top of the central wing, it has great view of University Square and Melbourne University. 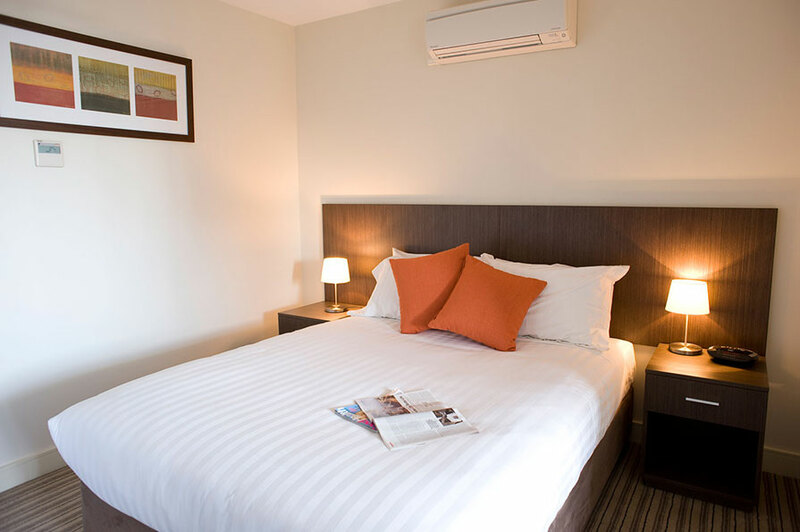 With a private bathroom and kitchenette, this room is child friendly with a portable cot available on request. 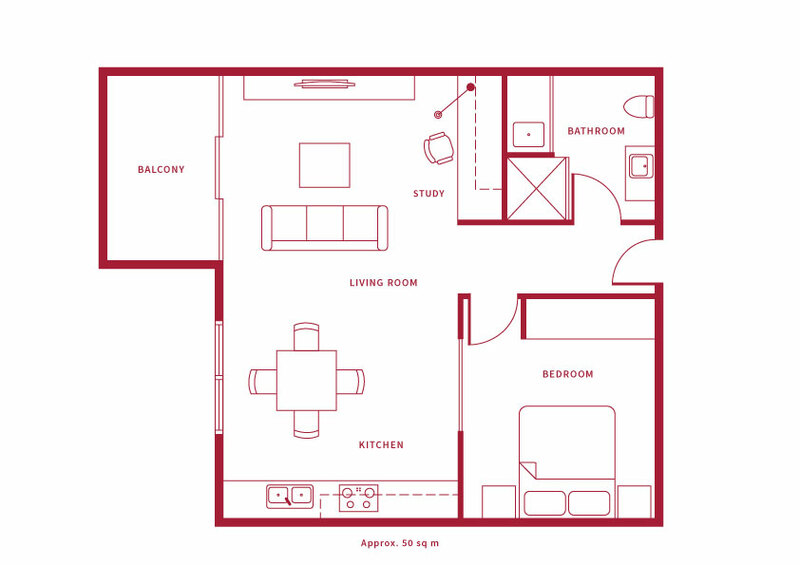 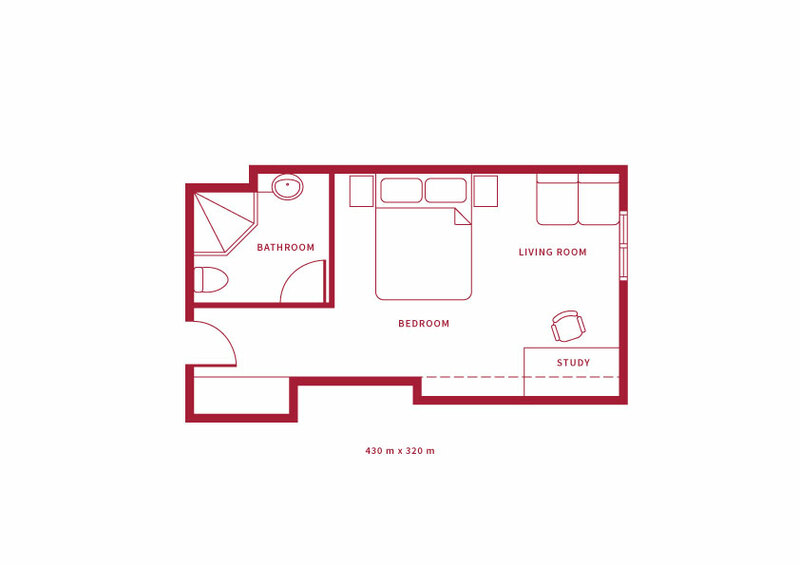 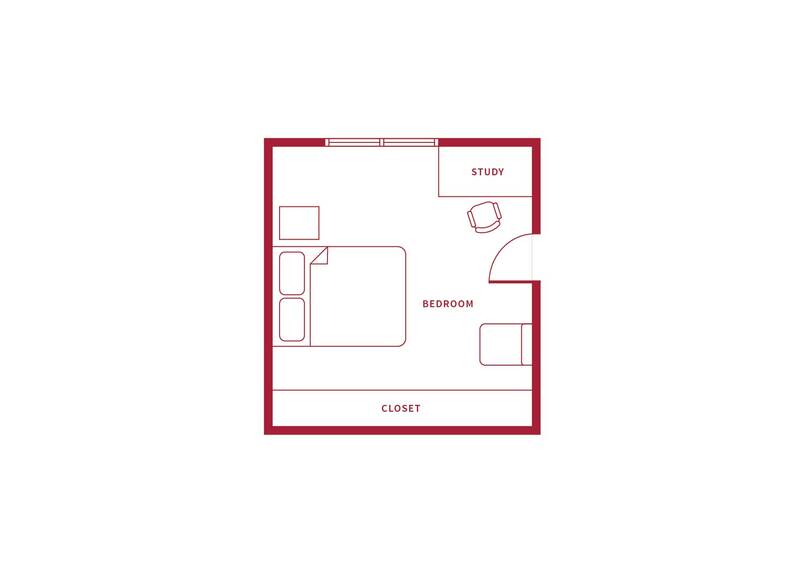 Layouts of rooms vary. 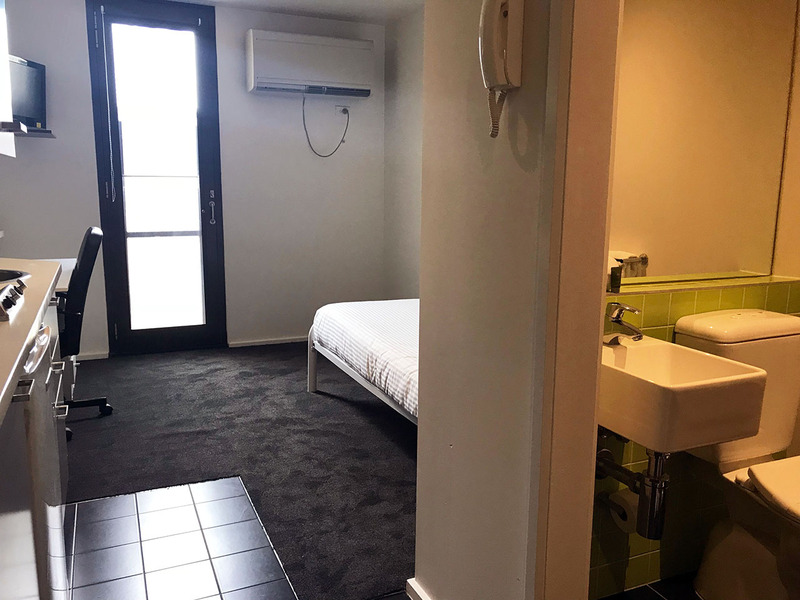 This double room, with three separate areas, including en suite, lounge area and bedroom, is perfect for a couple and plenty of space to move around. 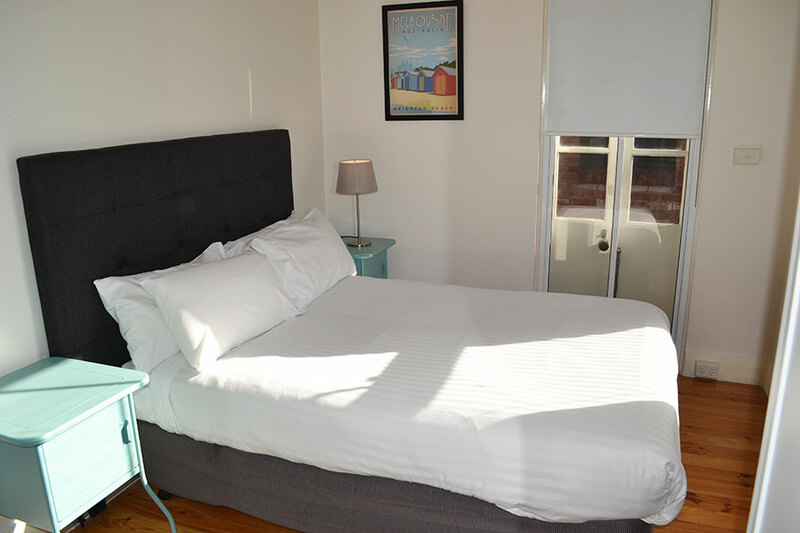 The bedroom looks onto the courtyard area and lets in a soft light. 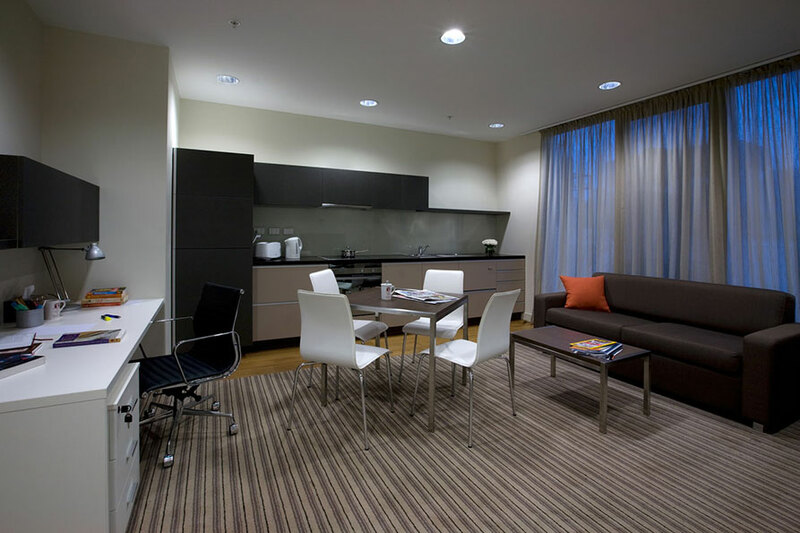 An ideal living space for two guests, this room contains a private bathroom and double bed. 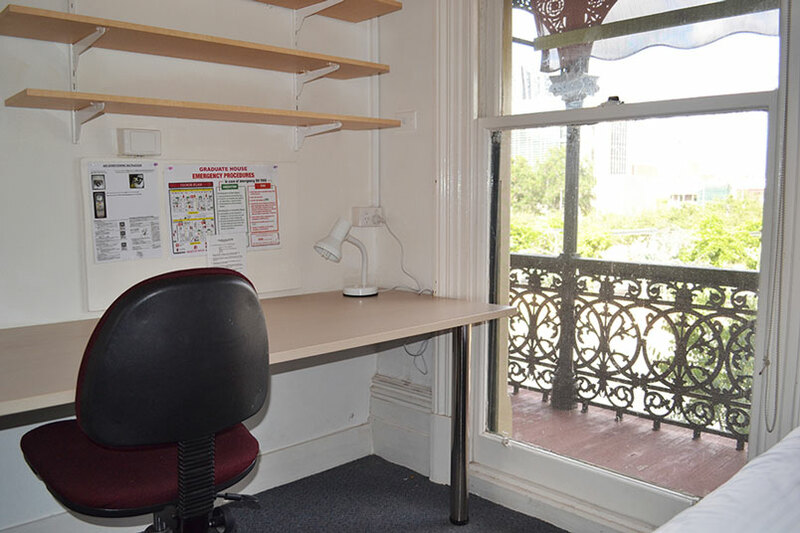 The window lets in a great light and overlooks Melbourne University. 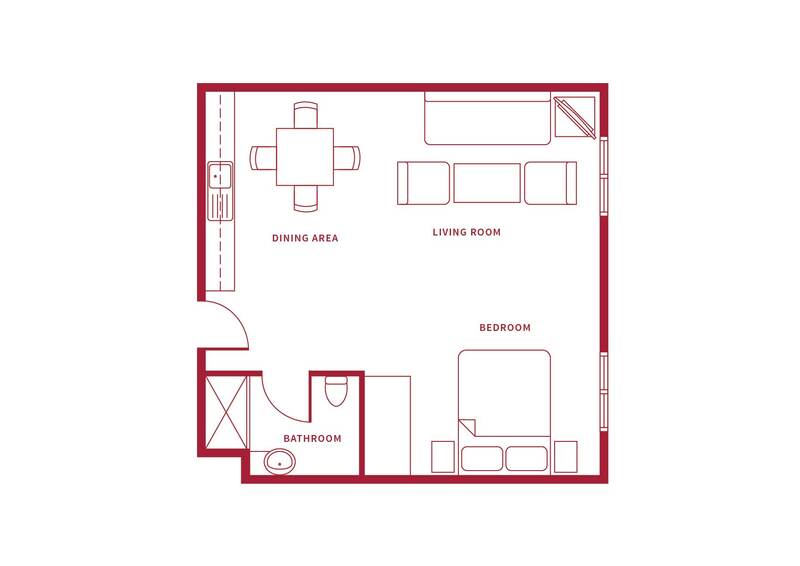 Located on the second floor of the terraces, this room has character and history. 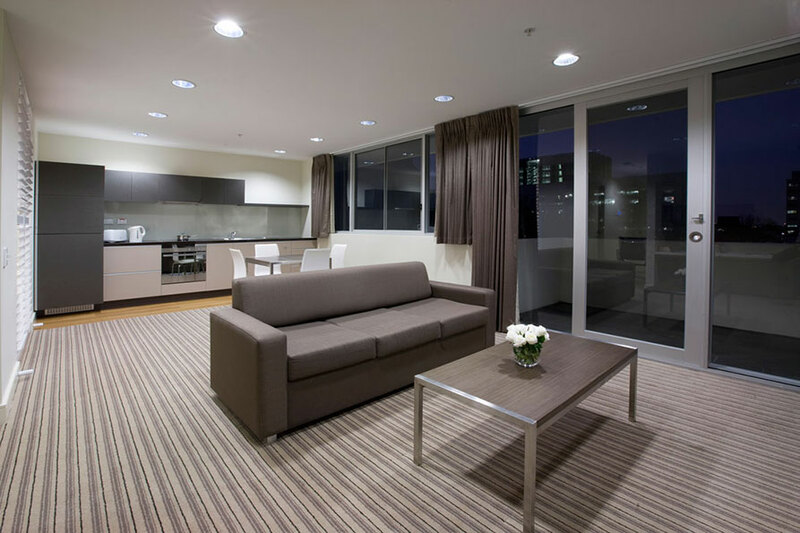 Step out onto the balcony and take in the scenery of Melbourne University’s campus and parks. 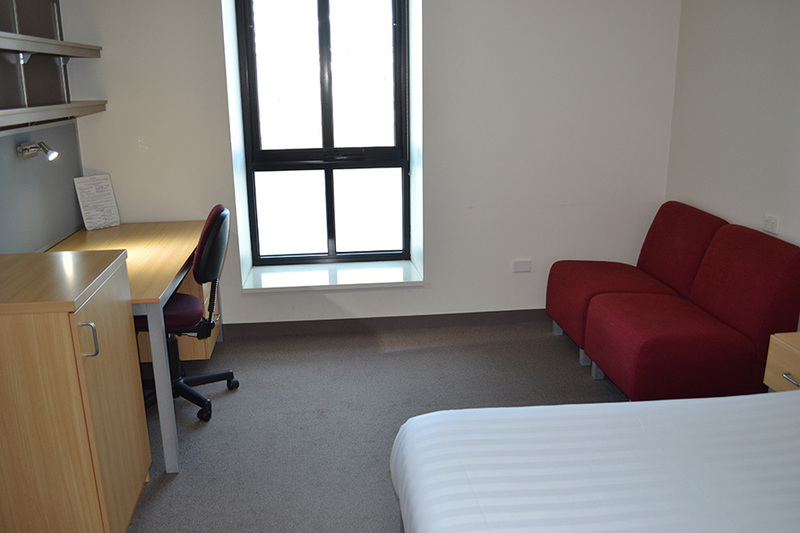 The room includes a double bed, desk, wardrobe and armchairs. 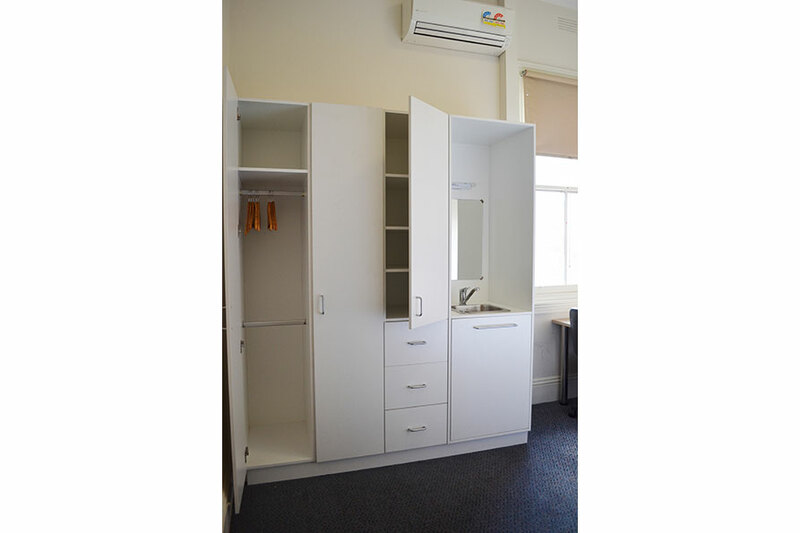 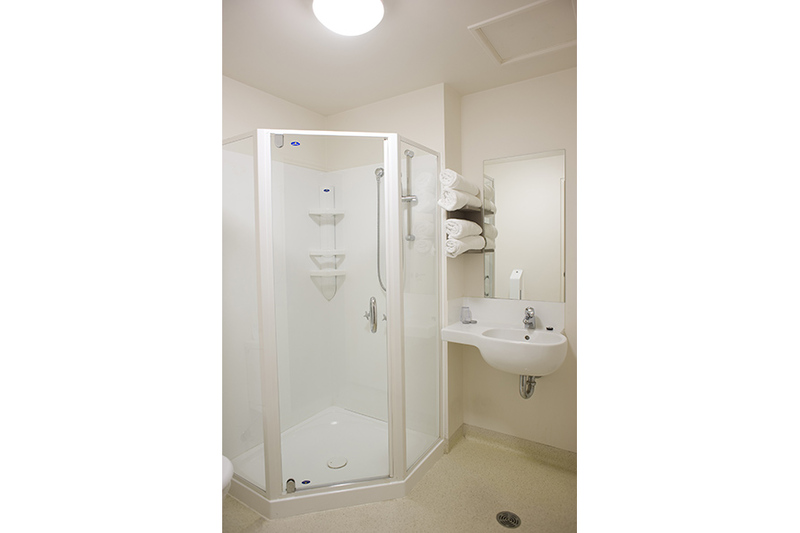 Ideal for those wanting a room with multiple areas to relax or work in. 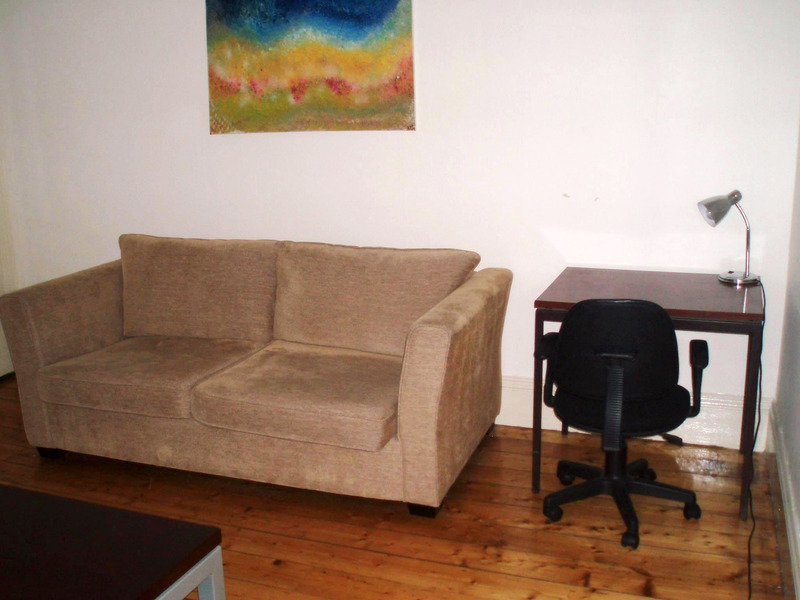 The spacious living room contains a study desk, television and couch, and the double bedroom has also a table and chair. 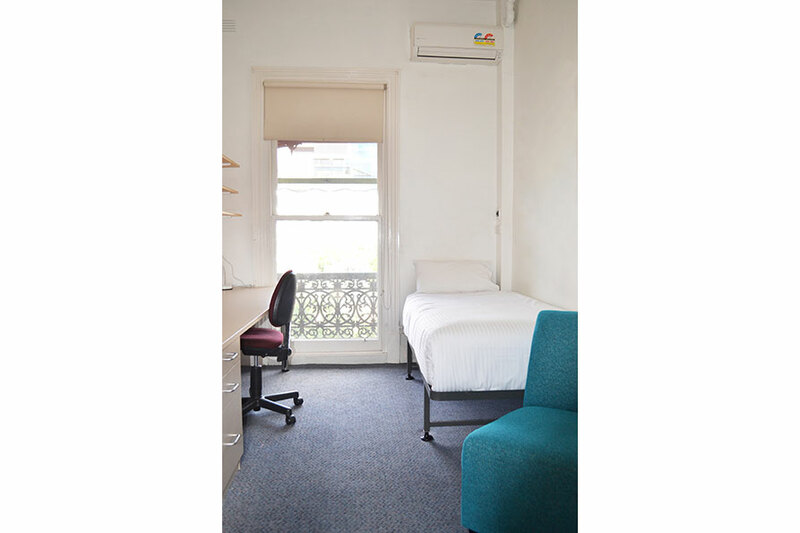 This double room is of a modest size and neighbours the Anderson Library which contains a large variety of reading material. 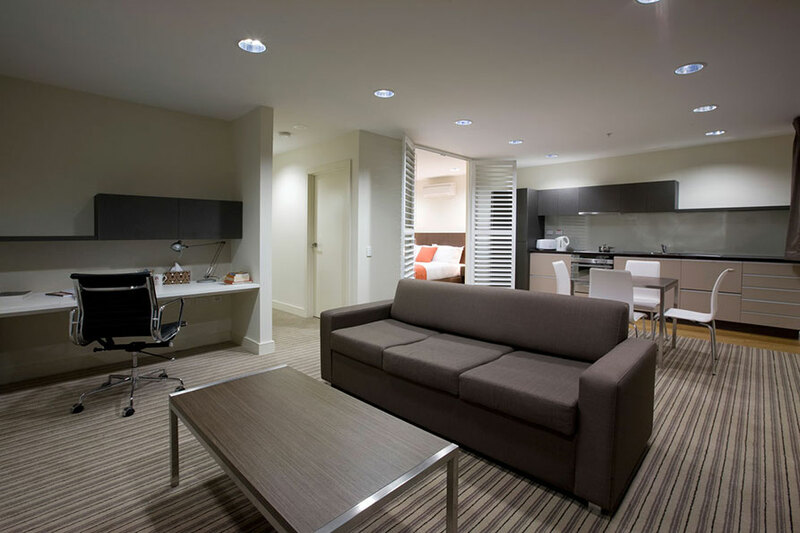 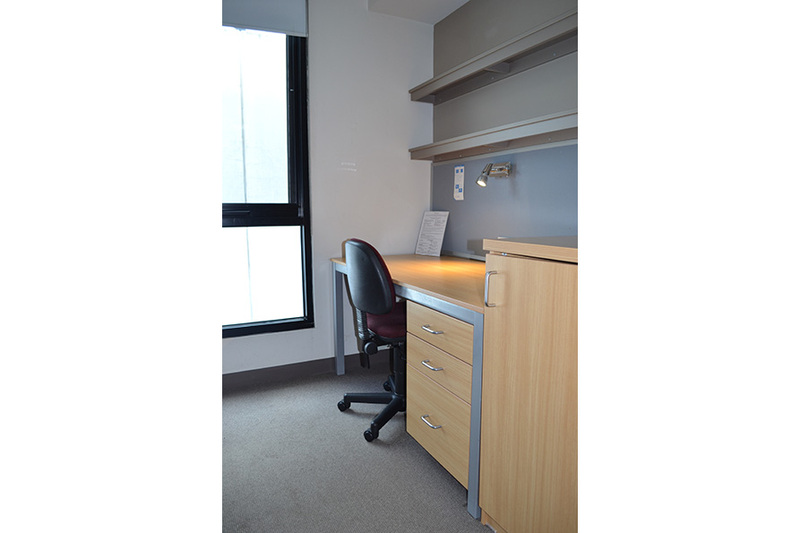 The room comes with a reading chair, wardrobe with hand basin, double bed and study area. 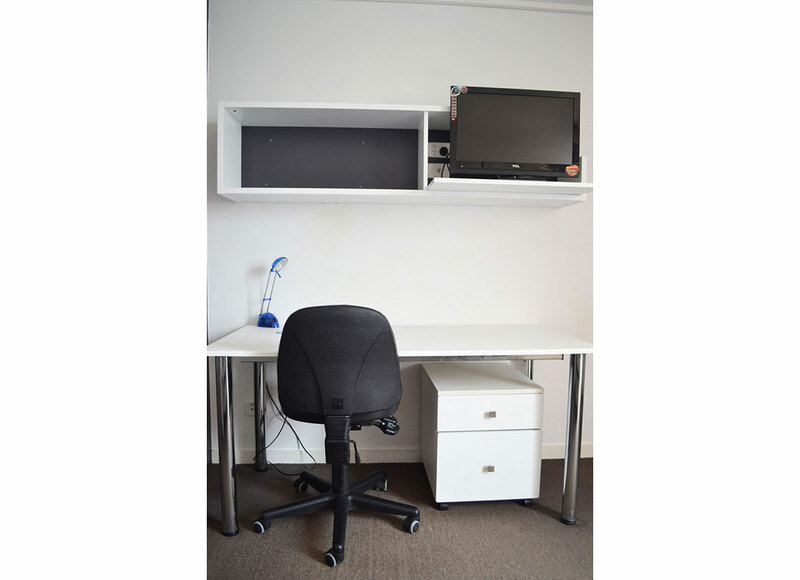 The Barry Street Single Studio Apartments are fully furnished with single bed, desk and chair. 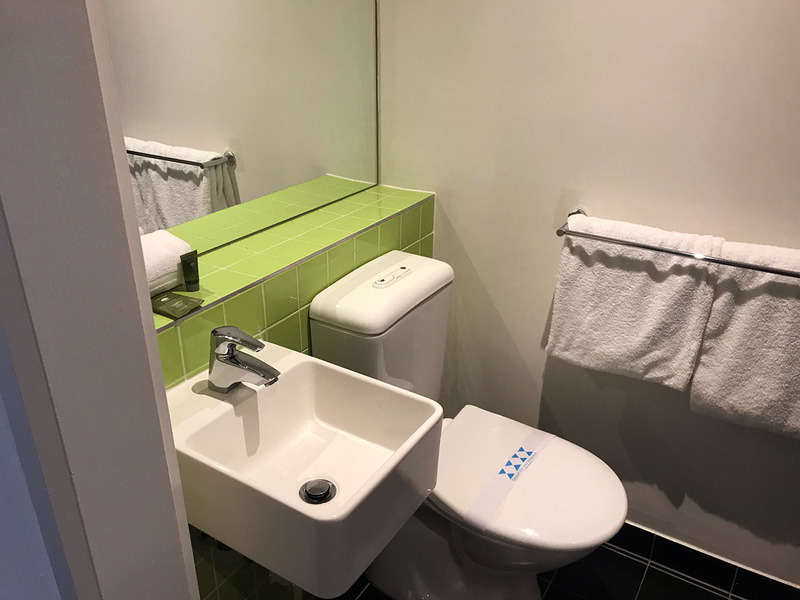 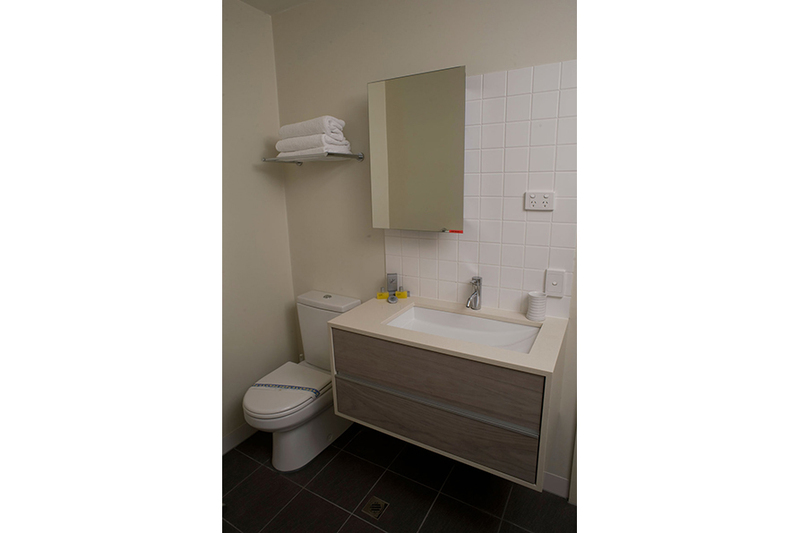 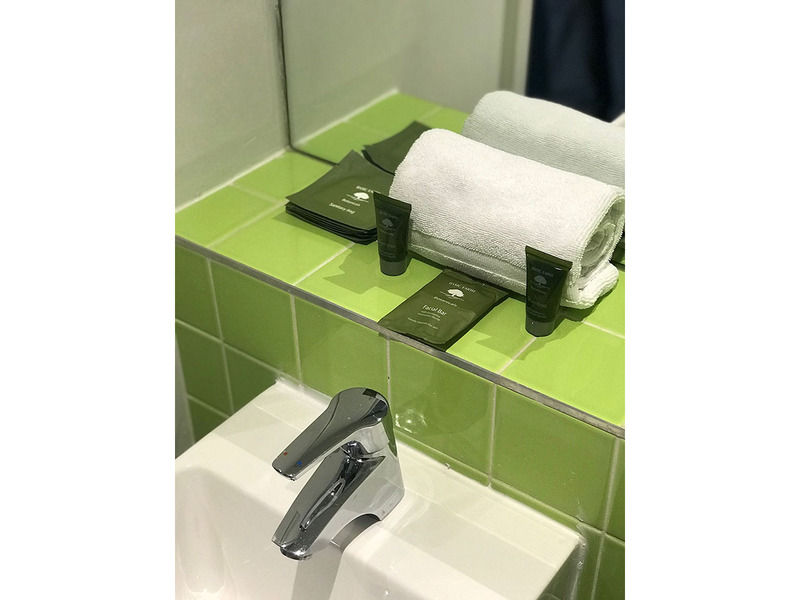 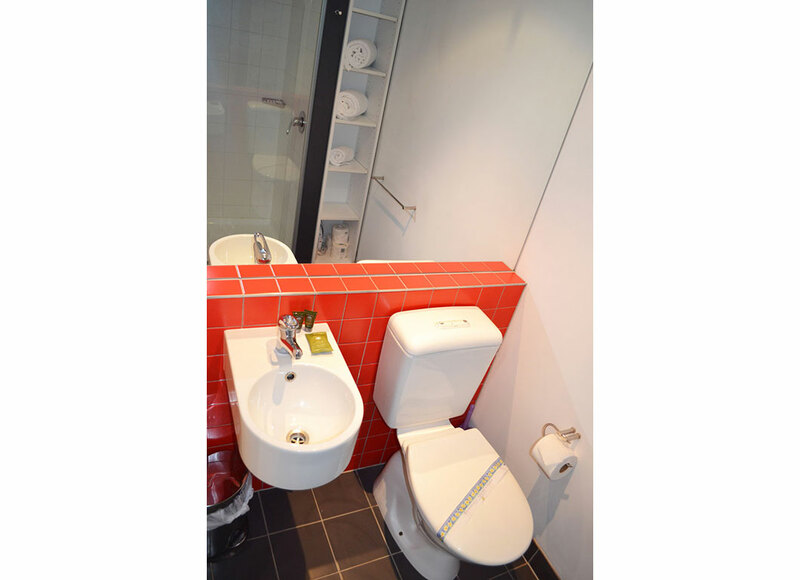 The bright and sunny rooms feature a convenient wall kitchen with microwave and sink, as well as a modern bright bathroom with private shower. 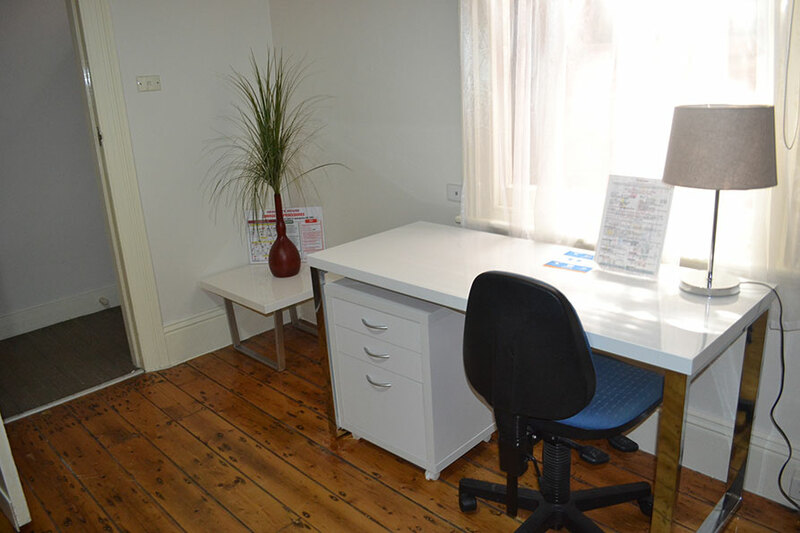 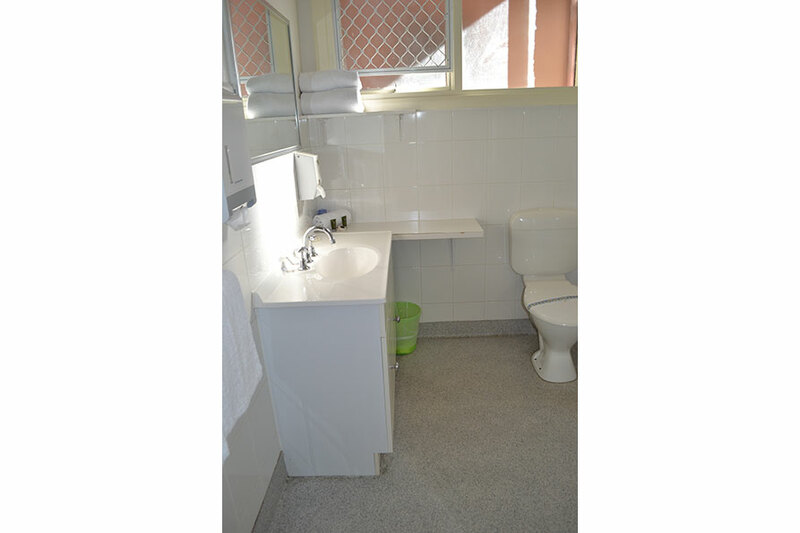 The Barkly Place Single Studio Apartments are fully furnished with single bed, desk and chair. 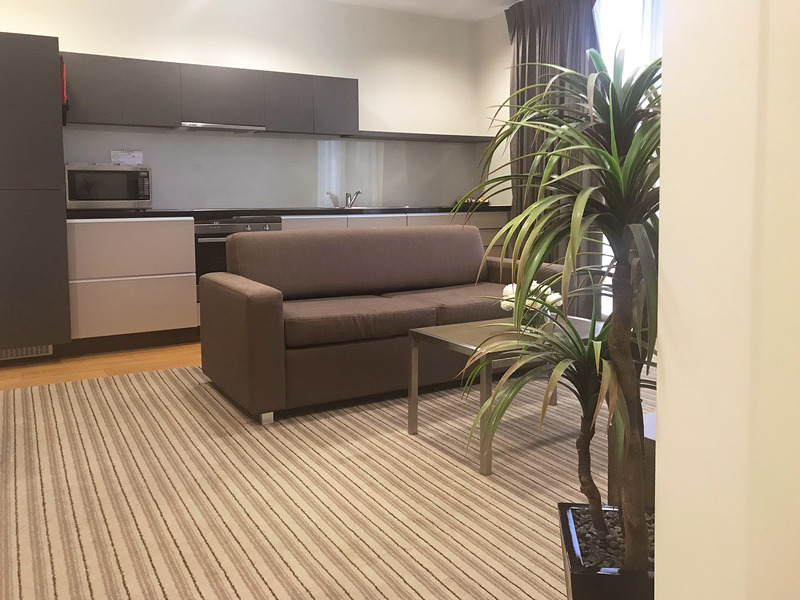 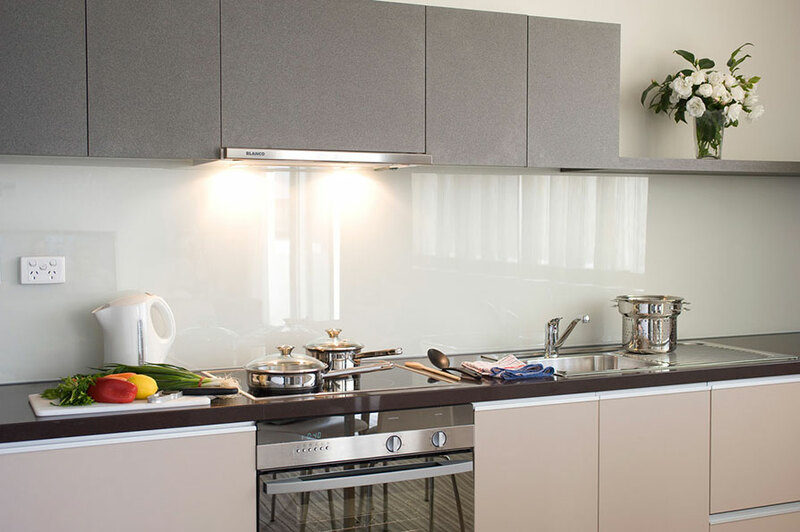 Each apartment features a convenient wall kitchen with stove top, microwave and sink, as well as a modern en suite bathroom. 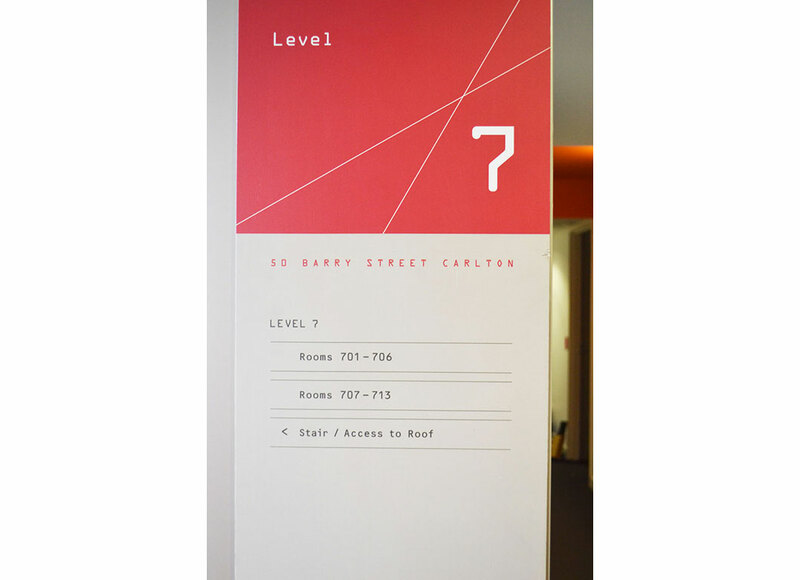 Within the top floors of the Central Wing, this room has spectacular views over University Square and Melbourne CBD’s skyline. 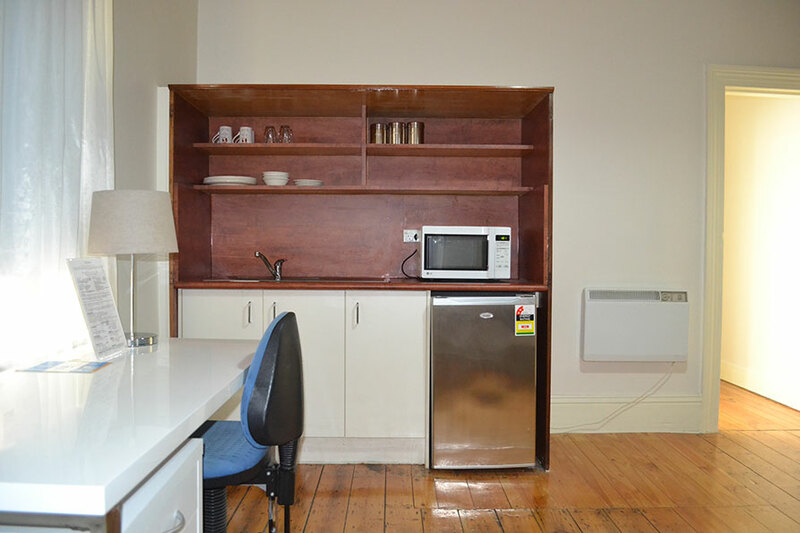 It comes fully furnished with bed, armchair, study desk, bookshelf and includes an en suite. 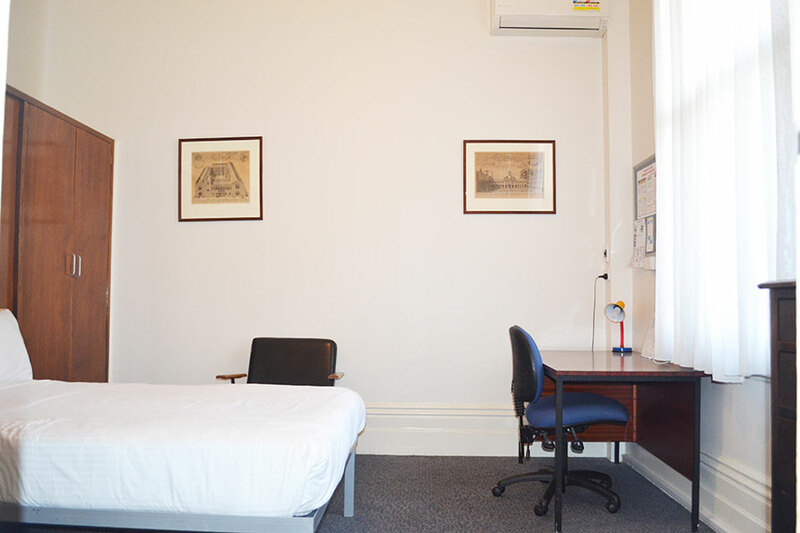 This beautiful room is steeped in history. 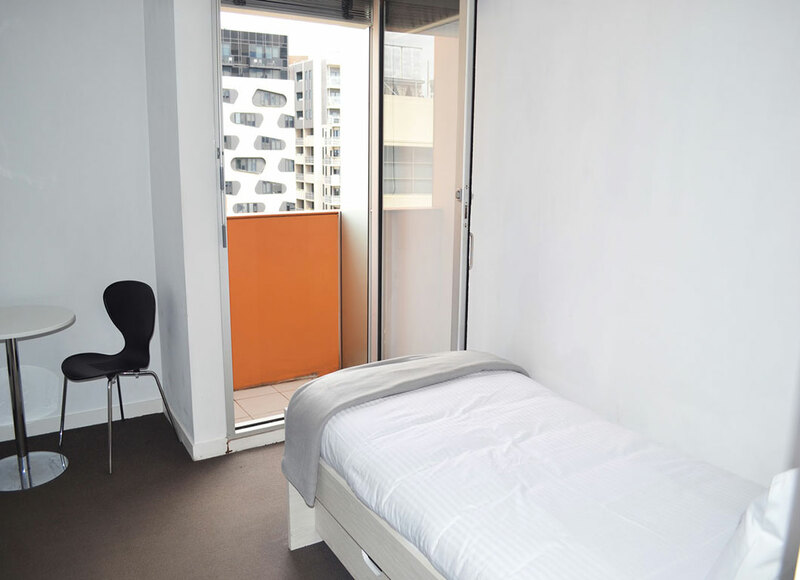 Located on the 2nd floor of the beautiful William Berry Terraces, you can step out onto the balcony and overlook Melbourne University’s campus and parks. 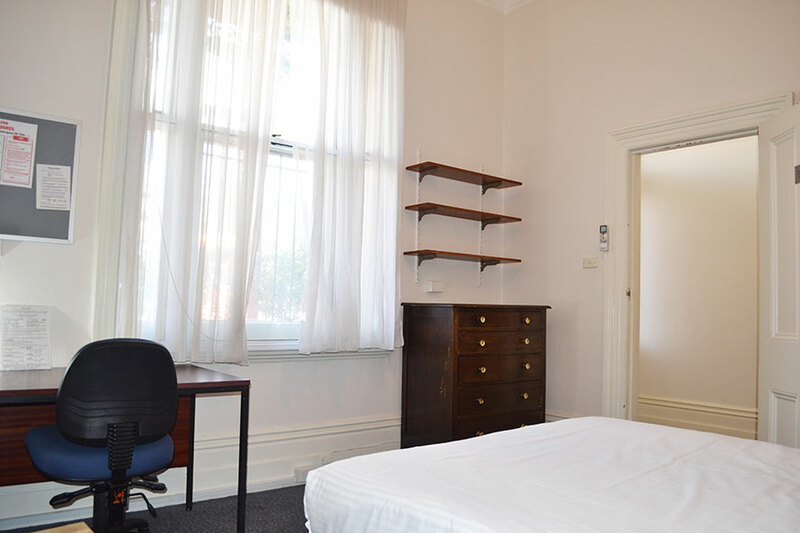 The room contains a bookshelf, wardrobe with hand basin, bed, desk and chair. 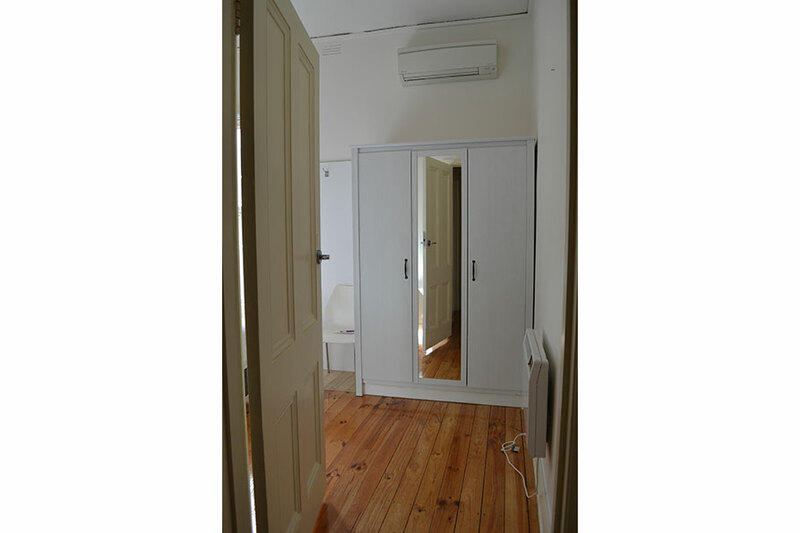 Within the oldest and most historical part of the terraces, this room contains a wardrobe, hand basin, single bed and study area. 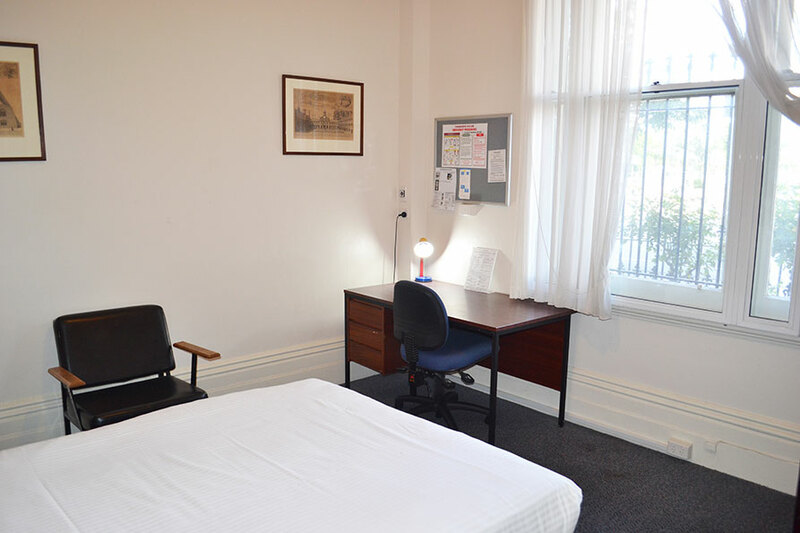 The Anderson Library which has a large variety of reading material is just a short walk away from your room.